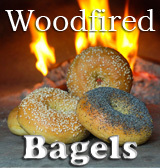 At Woodfiredkitchen.com, Sortachef takes you on adventures in the kitchen and beyond, with tales to suit. Many of his offerings are woodfired - a flaming good recipe for pizza, bread, or something different. All recipes are original and tasty. Enjoy! Vegetable Samosas: baked, not fried! “Sortachef on Woodfiredkitchen.com includes an eclectic mix of travel, food memories and photographs to accompany his recipes. Since we believe food, wine and travel are the best geography lesson you can have to understand and appreciate various cultures, his style of sharing his message is what we enjoy. "Sortachef's woodfired chicken is not just a recipe to try, but his writing is just as savory. 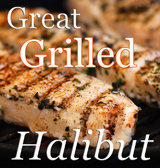 Part travelogue and part rambling joke, you'll enjoy the introductory anecdote just as much as the cooking." “Reading your post nearly brought me to happy tears remembering how (my mother) prepared this masterpiece with such loving care. I didn’t have a copy of her method so I think I will bridge the gap with yours. You can contact Sortachef by leaving a comment or sending an email to Sortachef@gmail.com. Serious inquiries only, please.